Bio-X series Outdoor Biometric readers from BQT Solutions have been released. Weatherproof, robust, and vandal resistant, Bio-X series Outdoor Biometric reader is suitable for a wide range of climatic conditions. The Bio-X series Outdoor Biometric reader is also available in several different models including Fingerprint + Mifare Smart Card, Fingerprint only or Fingerprint + TC/IP. 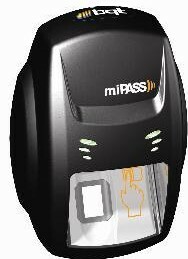 Bio-X series Outdoor Biometric reader can store 16,000 users in each unit (32,000 fingerprint templates) and is access control and time and attendance ready. The combination of miPASS smart card and biometric fingerprint technology provides a dual factor authentication process.